This section consists largely of primary sources that offer Chinese perspectives on the issues and events covered in earlier lessons rather than an integrated lesson that could stand on its own. The individual readings can be combined with activities in earlier lessons in this unit or could be used in a general lesson on immigration. 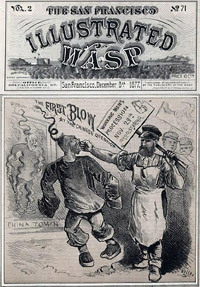 Students will be able to explain how anti-Chinese sentiment and the Exclusion Act affected the lives of Chinese immigrants and their families. Students will be able to give examples of ways in which Chinese immigrants responded to the prejudice and discrimination they faced. Students will be able to identify and evaluate differing points of view regarding the enforcement of the Exclusion Act. Students will analyze population data to see the effects of exclusion and the immigration of paper sons and daughters on the Chinese population in the United States from the 1860s to the end of the 20th century. Most of the readings in this lesson would be appropriate for middle school students. The Lee Chew reading is lengthy, but easy to read. The Paper Sons activity involves an interview that students can role play with a partner. The folk songs and poems can be read out loud and discussed in class. 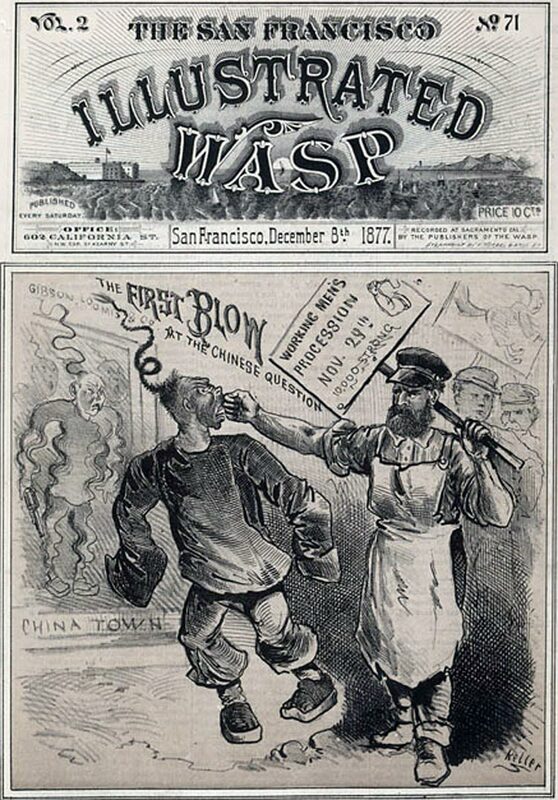 The questions and writing assignment that accompany the anti-Chinese Riot handout are geared towards high school students, but middle school students may still find the primary sources interesting to read.